from the competition is essential for any business. Rapidly expanding residential internet access makes web presence a top priority for a business of any size. Consumers are acquiring the taste of website design and can instinctively feel the difference between a professional quality website and something that has not been done by a professional web designer. Same way people are inclined not to trust a poorly decorated shop in a poorly maintained building, people would not trust a website that looks outdated or is not truly professionally designed and programmed. Depending on your goals, professional contemporary website design will help you deliver your message to a target audience, serve as an information resource and expand your sales. Small business, personal or corporate websites, electronic catalogs, E-commerce solutions, print and new media – Roman Design offers comprehensive solutions to your web and multimedia needs. No boring design for content-oriented corporate websites! Design is increasingly important for corporate websites. “Corporate” does not equal “boring” anymore. No sloppy work for small-business websites! No matter whether you have a big corporate project or a small business web site with a tight budget – you will get high-quality professional-looking web design. Proudly Canadian – no outsourcing! We do not use any off-shore outsourcing services and strive to be one of the most reliable and effective web design companies in Toronto and in Canada. In other words, if you came here looking for Toronto website design – then it is exactly what you will find. Not a front for an off-shore web design company, but a true Canadian Toronto web design business. Make your website stand out, be on the edge of creative technology! One of important principles of architecture: beauty should be functional and functionality – beautiful. It is very relevant for web design. Too many websites use design and concept that have nothing in common with the actual business or person behind a website. Here, your website is built according to developed concept and specifications, using latest internet technologies. Everything is used to accentuate your message or services, not to distract one’s attention. The bottom line – Website that is both stylish and functional. All graphic and code are preserved for easy updating and support. You can even get it all on the CD-Rom – your completely functional website and backup of all layered graphics and code. Showcase your website on any PC without the Internet connection! Get all desired support and content updating done here, or if desired, the functionality for updating the contents without any technical knowledge is available along with easy to follow instructions – just log in to your website and change contents on-line using a Content Management System (CMS)! Get yourself a website that uses latest technological advances to deliver your content to potential clients. A website that is easy to find, easy to navigate and easy to comprehend. A website that delivers the right message. More information is available on Roman Design Services page. I would like to express my extreme satisfaction with Roman Design. 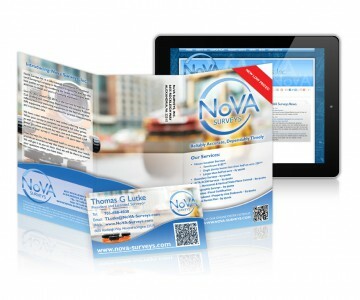 They provide our company with the professional web design services we need for over 6 years now. One thing I really like about Roman Design is the ability to meet with them whenever we have any complex updates required for our website. Previous web design companies we have dealt with did not give us this extended service as an option. That is one of the benefits that sets Roman Design apart from other web design companies. In addition to exceptional web design services, Roman Design also offers other design services such as logo design and banner ad design. I have recommended Roman Design to others in need of professional website, logo and banner design services because Roman Design does professional work and provides exceptional customer service.